In keeping with our new tradition, my sister and I made a date for afternoon tea. 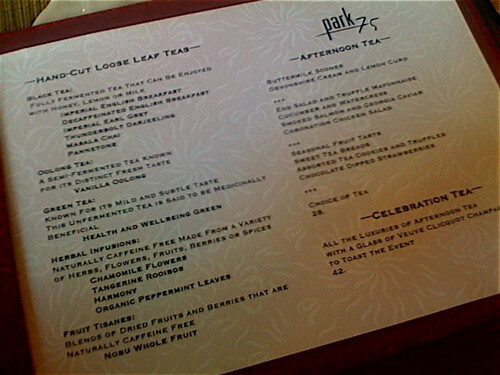 We had planned on going to The Faded Rose Tea Garden in Chamblee (recommended by a reader), but my sister had a hard time getting in touch with the establishment and made reservations at the Park 75 Lounge and Terrace at the Four Seasons hotel instead (another reader recommendation). I was immediately impressed with atmosphere, in comparison to the decor at the Ritz, when I walked in. The space is much more modern and the large windows flooded the roomy terrace with light. Like most tea services, you have your choice of fixed price options. We opted for the basic afternoon tea for $28. The waitress brought us a box full of tiny glass jars each filed with a sample of the loose tealeaves—both caffeinated and non-caffeinated options available. I desperately needed some caffeine, so I went with the vanilla oolong and Jessy went with the chamomile. The first items to arrive were a platter of scone accompaniments and our individual tea presses (an elegant and modern touch). 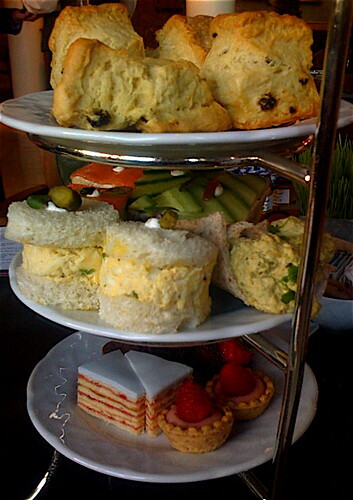 To our delight, a tiered platter of tea snacks arrived. All of them were delicious and quite traditional. I especially loved the wheat bread cones filled with curried chicken salad. I was stuffed by the time I made my way down to the dessert platter, but did have a few bites of some items and they were all very good. Verdict: A lovely tea service that I would definitely go back for. If your dining companion is not feeling like afternoon tea, there are lunch items—like club sandwiches and salads—available. Hours: Every day from 2:00 p.m. to 4:00 p.m.
Not to be all “back in my day,” but their tea service was so much better circa 2001, when they used all Harney teas and the staff had been trained by John Harney himself. 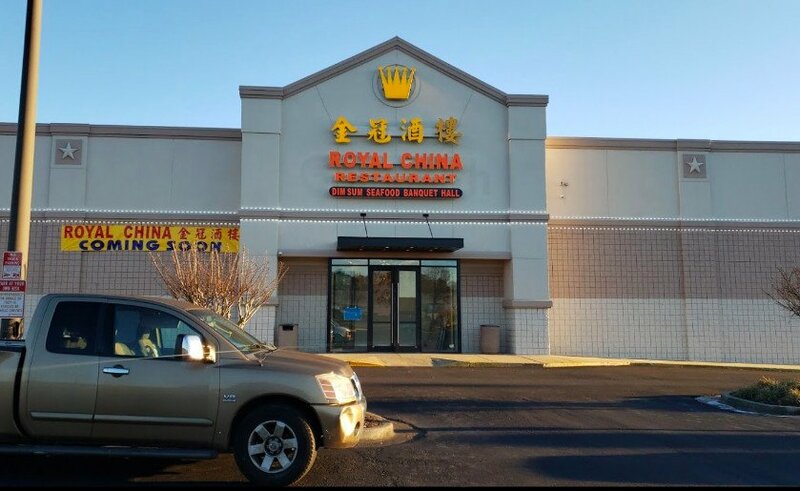 I went several times back then, and the quality at that time was far superior to what I encountered during my most recent visit this past October. I also prefer china and ceramic pots to the gimmicky presses. The staff was also inattentive during our visit in October, and we had made reservations well in advance, so it’s not like they didn’t know we were coming. I’ll try the Ritz next time. I prefer Four Seasons to Ritz. The food was so much better. I agree with you, Leslie Ann. A more traditional selection and all the items were good. 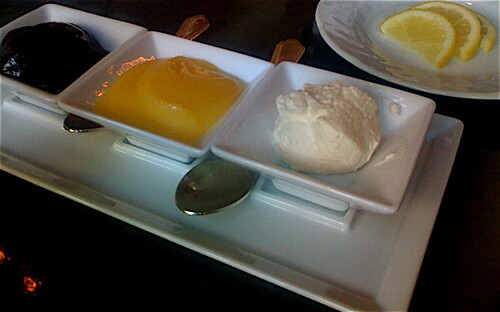 Our server was also great–very attentive and very friendly. We would definitely go back. I’ve just started drinking teas again and I think a visit to Park 75 is due. The snacks look yummy! I only read this blog for the pretty pictures. Less iPhone, more DSLR!